Fifty years after her first book was published, Anne Tyler is releasing her 20th novel. She was born in Minneapolis in 1941 and grew up in Raleigh, North Carolina. After graduating from Duke University at the tender age of 19, she did graduate work in Russian Studies at Columbia University. Her 11th novel, BREATHING LESSONS, was awarded the Pulitzer Prize in 1988. A member of the American Academy and Institute of Arts and Letters, she lives in Baltimore. 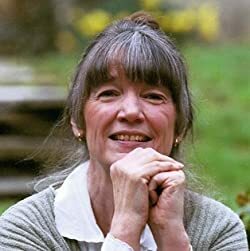 Please enter your email address and click the Follow button to follow Anne Tyler! Mrs. Pamela Evans lives a lonely new widowhood outside of Baltimore, with only a house full of ticking clocks for company. Then she hires eccentric Elizabeth Abbott as a handyman and both discover that parts don't have to be a perfect match to work. "Anne Tyler is a magical writer." LOS ANGELES TIMES From the Paperback edition.